Slew of launches at CES 2019. 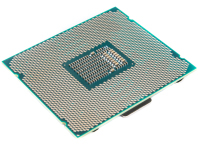 Intel unleashes new HEDT CPUs, but core counts stay the same. Intel has announced a 28-core monolithic CPU, and AMD has upped the ante with a 32-core Threadripper, but who will win? 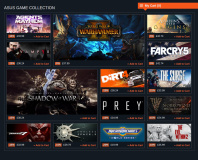 The CPU market has never had a year like 2017, and it all comes down to Ryzen. Intel reclaims the performance crown as the maker of the fastest desktop CPU that sports 18 cores, but at what cost? MSI adds some arctic ice to its X299 lineup with the latest Tomahawk board, which retails for a reasonable £270. 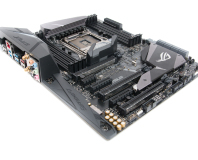 Gigabyte's sub-£300 X299 motherboard has plenty of features, but is it worth the cash? We take a look at MSI's £250 X299 motherboard - does it have enough features for your cash? More products, more reviews, more development; AMD's return to form means it's tough for motherboard manufacturers and even reviewers. We take a look at Asus' £275 X299 board, but should you just bite the bullet and go for something more premium? We take a look at Asus' £400 X299 motherboard, which has a box full of toys. 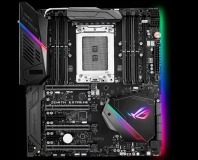 ROG Strix lands on X299 with dual M.2 ports, RGB lighting, water-cooling pump headers, and more. Intel shows its HEDT hand and its first weapon against AMD's Threadripper.